Norton Security delivers high-quality malware and antivirus protection, and has some additional features which could prove useful. Norton’s antivirus software suite offers coverage for both desktop and mobile devices, though the options for iOS systems are more limited than for Android or Windows systems. Norton Security has long been a powerhouse in the land of antivirus software. Despite some limitations for iOS users and the potential for system slowdown, it’s performed well in independent tests and offers a fairly substantial range of system protection options, including a 2-way firewall, anti-phishing security, and - in higher levels of license - online storage and backup software. When Norton Security is put through the wringer by independent testing labs, it performs incredibly well, routinely detecting and deleting malware with ease - even scanning incoming email and instant messages for potential threats. The suite has a variety of protective options available depending on the level of protection you purchase, and can protect up to 10 devices at the highest available level. Possibly due to the strength of protection Norton Antivirus provides, it can cause some noticeable system slowdown depending on the strength of your device. Norton Security also offers limited features for iOS devices. Norton Security scored extremely high in test results, getting 100% across the board for performance, protection, and ease of use. It also did well in our own hands-on tests, getting 81% for Software Features, beating nearly every other antivirus suite on the market. Norton Security has a fairly high price tag on its base protection, with a Standard package normally costing $69.99 to protect one device. However, they often run specials - currently, the Standard package for Norton Security is $39.99 for the first year. Norton Security’s range also has a more affordable top-tier option than some other comparable antivirus suites, providing 1 year of protection for up to 10 devices across both Windows and Mac operating systems for just $109.99 (with a current deal giving first-time users $50 off). And Norton also provides a 30-day free trial to test the antivirus software, as well as a 30-day money-back guarantee if you decide the antivirus isn’t giving you the protection you’re looking for. Norton Security offers a variety of different security features, including malware protection, a 2-way firewall at the higher levels, ransomware protection, anti-phishing protection, anti-spam protection, and much more. Even the Standard package comes with the anti-phishing and anti-spam defenses, as well as the two-way firewall. While Norton Security does offer a Basic package which just contains their antivirus, we highly recommend considering the Deluxe or Premium options if you have more than one device you’d like to protect. The additional defensive features - like the online storage and backup, as well as the emergency boot disk - make the higher-tier options cost-effective and able to protect every device in your home. Norton Security’s user interface is clean and easy to use, letting you see immediately what your security status is, when your last system scan was, and how long your subscription still has. The 4-panel setup has options for Security, Identity, Performance, and More Norton; clicking on any of these smaller windows will cause it to slide up and reveal your available options. For example, clicking on the Security panel shows icons for Scans, LiveHistory, Update, and Advanced. Like many other antivirus suites, Norton Security is also easy to purchase and install. You simply visit the website to make your purchase, then create your account with the online portal and enter your license key to begin your download. The online console also offers you the ability to extend your protection to other devices, if you’ve purchased a license which will allow you to do so. Norton Security provides intuitive installation instructions, making the antivirus program accessible to people without a lot of computer technology experience. Norton Antivirus provides a number of ways to get help if needed, including a customer support phone number and email. Both the phone support and live chat options are available 24 hours a day, 7 days a week. You can also take advantage of Norton’s forums and FAQ’s to search for answers to common questions. Norton Antivirus staff are also available on Facebook and Twitter. If you’re looking at your user display, Norton Security provides an easily visible “Help” button in the upper right, which gives you access to all of your support options. Overall, Norton makes it very easy for the average user to reach out with questions and get help with their products. Symantec, the parent company of Norton Antivirus, has been working on computer security and protection since its founding in 1982. The first iteration of Norton Antivirus programs was sold in 1989, and Symantec has been working on refining and streamlining their antivirus software ever since. Today, Norton Antivirus protects 43 million users in 28 countries from threats to their devices, and continues to establish new standards for all online security companies. Norton has won awards for their antivirus protection, including an AAA ranking, and has won PC Magazine’s Editor’s Choice Award a record-breaking 37 times. They are also the only company which provides a 100% guarantee for virus removal - if the viruses are not cleared from your system, they will give you your money back. While Norton Security can be a bit expensive and offers less customization and protection options for iOS users, the overall antivirus suite provides strong, consistent protection from a variety of potential system dangers. High scores from independent labs and a long list of features make Norton Security a strong contender for our favorite antivirus, especially when you consider its overall ease of use. And while some systems may experience minor slowdown from the antivirus suite, Norton has greatly improved their memory usage and minimized the drain on both desktop and mobile system resources. We highly recommend Norton Security for both beginner and advanced computer users. "I have used many different anti-virus software programs over the years but I have to say that the best, by far is Norton Security. I love how user friendly Norton is especially considering all the features that usually complicate things. I have to say that out of all of the products that I have had in the past Norton is the most complete package. I love not having to have one program for malware another for virus and so on Norton does it all. Norton Security is a bit more expensive than other anti-virus software available on the market but I think that it is worth it to be able to feel safe with a product that I know I can depend on. Plus they do offer the option to pay one price to install the software on all of the devices that I have in my home which makes it a much better value." "It's been about 2 years now since I've started using Norton Anti-Virus software and I am beyond happy with the results I've received. As a heavy downloader, I often times find myself on websites that seem to be a bit sketchy. This used to be an issue with the files I downloaded containing backdoor viruses or some sort of bug. With Norton, I rarely ever have to worry about that. It will let me know when something is potentially carrying a dangerous malware, trojan, adware, you name it! I'm currently paying $49.99/year for this particular version of Norton and I find the value be very well worth it. Before actually purchasing, however, I was using a free trial that seemed a bit lacking. After taking the plunge and actually buying the software though, I was not disappointed. It's pretty simple to use, as you only have to set up your personal preferences initially, then it will run on its own. I can confidently say I trust Norton for all my cyber security and anti-virus needs!" "Norton Security is one anti-virus software that I tried and did away with in the past, as I have found it to be less customizable than hoped for and far too expensive. One of the biggest issues I had with Norton's most recent version was the lack of back-up support. I do not like to use cloud back-up, so I always opt out of those services and use a physical back-up device. Norton does not seem to support this in their 2017 version. It is a major frustration for me when these providers tie my hands in regards to certain features, as I prefer to have a highly customizable, easy-to-use anti-virus software rather than one that attempts to do all of the work for me. This may be a good option for someone unfamiliar with anti-virus software, but I prefer one that provides me with a set of tools and the freedom to manage them as I wish." "A great online security system that I personally use is Norton Security. I and my family have used the program for many years, between long hard storms, long nights as a college student and even unexplained computer crashes, Norton has gotten me through it all. i am now almost entering my third year of college, so having a reliable computer with a functional security system is at the top of my priority list. Being one that has used Norton for many years, this is the ONLY security system that i trust and would use on any of my personal computers, or any electronic devices. The prices are considerably reasonable considering what you are getting for the money you are paying. there can be a total of six packages to choose from, each one ranges in price, but at the same time can offer better upgrades. the software is top of the line, and helps to protect against a range of viruses, it all depends on what you think might be best for you. As long as you enter in your product key, Norton does the rest of the work for you, it is as simple as that. 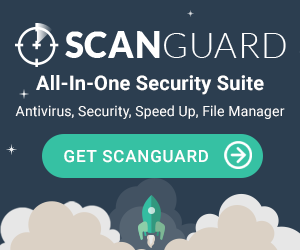 from scans to immediate protection against threats, in my opinion this is one of the best malware protection programs that you can purchase on the market." "I have had my share of antivirus software; some them did their jobs while other malfunctioned. The best software I used was Norton; it gave me great protection for my computer. Being a student who uses my laptop and accesses the internet frequently, you need an antivirus that will prohibit or detect viruses that can attack your computer. With the world encountering many viral threats these days, you should choose the perfect system. Norton offers protection services to your Android and iOS. It detects threats or malware attacks and proceeds to resolve the issue is preventing future threats. Norton is a little pricey, but occasionally they offer their system at a lower reasonable price. The antivirus system is easy to use; it displays a vibrant and bright layout. Tabs that include information on the computer performance, scanning your computer and threats detected on the system. The great thing is that it can protect your identity and sensitive, confidential information. This is an important attribute due to the rising of threats among the internet worldwide. To sum it all up, Norton is worth every penny." "Norton detects the biggest number of threats. I have checked it many times." "I've been using Norton for over 5 years and their products are always reliable." "Norton software is the best." "We have been using SEP for several years now and it has provided excellent protection. The updates are timely and have not had any serious infections. We could not be happier with the product." "Symantec SEP 14 is enriched with every possibility & aspects to protect Desktops & Laptops from Unnecessary malware programs." "This program was able to block out a virus that could have potentially taken over one of our computers! It alerted us and gave us the exact files so we could remove them!" "Regarding antivirus solutions, Symantec has nothing to prove yet but the company is still doing a very good job in that industry. The virus definitions are always up to date and are for sure one of the best three on the market." "Software installs easily has great interface for users. Easy to pull reports and a great interface. Users do not have to pay to much attention to details, easy to understand"
"Very good virus protection on symantec endpoint products"
"The management console is mature, simple, and efficient. The antivirus is fully configurable, with a good detection ratio." "Very simple interface but still gives the ability to do set basic exclusions. Takes all the hassle of management out of SEP and gives an easy way to get reports and notifications on what is happening on your network"
"The workstation deployment is very straight forward and updates can be easily pushed out. The antivirus protection is dependable and the firewall is flexible yet extensive enough to offer a solid protective layer"
"I like best that plethora of features and options and different security option that it has. Its very comprehensive. It covers Virus protection, Malware, protection from hacked websites." "Norton release new versions almost every year. Some unique features of Norton anti-virus are Sonar protection, File Insight, Network Insight, Power Eraser tool etc. which provides more reliable protection against viruses and other malicious code." "like how everything is built together all in one solution. You have 1 piece of software to use for Firewall, Antivirus, Backup, and Performance." "This product is easy to use, automatically update all virus protection, notifies me when there are issues and provides me with an easy way to fix the issue. This product has a reasonable price so I have an automatic renewal every year so that I am never out of protection." "I like how efficient Norton is. I like it is always working in the background to make sure my computer is safe and running smoothly. I appreciate how it gets rid of any viruses and malware that may have gotten on my computer." "I really like that in addition to the basic options for protection, Norton offers advanced options as well that allow me to really control how I am keeping my computer safe. Occasionally I will have an issue that the basic scan doesn't take care of, but I am able to go into the settings and use the more powerful tools to find and fix any issues I am having." "Norton provides continuous security protection and monitoring. It's easy to use and provides extensive security checks and reports."